For nearly a year now, getting timely information out of China on human avian flu infections has been nearly impossible, with most provinces only providing a summary total buried in a spreadsheet submitted with their EOM epidemiological report. A few provinces (Guangdong in particular) have continued to post official notices, and we’ll see an occasional media report, but for the most part we only hear about cases weeks or months after the fact. Today Sharon Sanders of FluTrackers has picked up the latest such summary (see China - NHFPC announces 2 bird flu cases (excluding H7N9) and 1 death for November 2015 - H5N1, H5N6, H10N8 ?) which lists 2 `Bird Flu Cases’ and 2 H7N9 cases in November. Although avian flu doesn’t rate a mention in the text summary, there are two entries buried among the 42 other infectious diseases included in the attached annex. No details regarding subtypes, locations, or epidemiology are included. Equally vague, but indicative of increasing activity, is the following news item (repeated across several media streams) indicating additional avian flu cases in Zhejiang province. Exactly when, where, and how many cases, is less than clear. Xinhua Hangzhou, December 9 (Reporter Zhang Yue Wei Hui) reporter on the 8th learned from the CDC in Hangzhou, Shaoxing, Hangzhou and the surrounding, Wenzhou and other places have been found in H7N9 cases, currently in Hangzhou has entered the H7N9 avian influenza popular season. Experts advise the public to stay away from live poultry, pay attention to personal protection. Avian influenza is caused by the avian influenza virus infections. 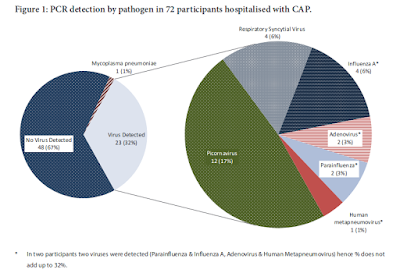 Since the species barrier, the bird flu virus only in occasional cases can infect humans, people infected with H7N9 bird flu virus usually fever and other respiratory symptoms, often quickly develop into pneumonia, acute respiratory distress syndrome and even systemic organ failure and death . In Hangzhou, 2015 epidemic showed a wide range of geographically dispersed, mainly rural characteristics of the cases. Hangzhou epidemic distributed in seven districts and counties (cities), each half of men and women aged over 45 years were, in most cases, have high blood pressure, diabetes and other underlying disease, contact history, and to have a live poultry before the onset Since raising poultry mainly. Hangzhou Center for Disease waders outside environmental monitoring results show that, since September 2015, Hangzhou virus outside environment pollution is increasing, the occurrence of human infection with H7N9 avian influenza outbreak to increase the probability of distributing risk. As the weather turns cold, the risk of human infection with the H7N9 avian influenza virus will increase. Laboratory detection of gene sequence analysis, the current did not find the virus mutates. According starting July 1, 2014 implementation of the "Zhejiang live poultry transaction management approach", the main city of Hangzhou has permanently stopped trading live poultry markets, the implementation of slaughtering, killing white listing. But some rural counties City and other places has been re-opened market live poultry trade. Hangzhou CDC experts advise, these market organizations to adhere to a daily trading of live poultry, slaughter area and related facilities and equipment for cleaning, disinfection of waste and dead birds for centralized collection and safe disposal. Live animal markets may not exceed 10 consecutive business days, not less than the 3rd month closed during closed trading on live poultry, slaughter area and related facilities and equipment to conduct a comprehensive cleaning and disinfection. Urban management departments should intensify inspection efforts to ban live animal markets outside street vendors selling transactions.